Shining, shimmering, splendid, Aladdin transports audiences on a magic carpet ride to a whole new world of kaleidoscopic intensity. 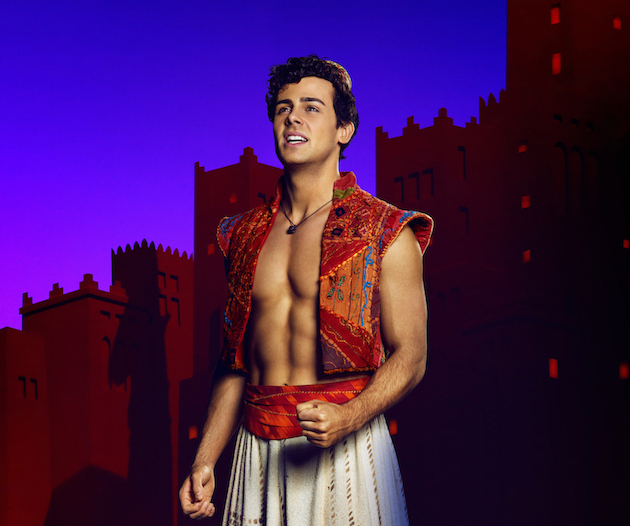 Looking pleasingly pristine and perfectly polished in Her Majesty’s Theatre, Melbourne, Aladdin offers plenty of bang for your theatregoing buck. The result of the handiwork of some of Broadway’s most talented practitioners, the stage musical takes the very best of the 1992 animated movie and dials up the music, magic and spectacle to the extreme. 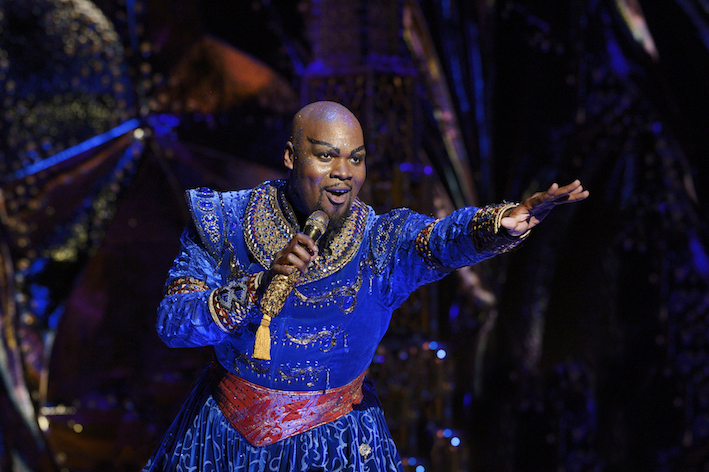 Acclaimed Broadway director/choreographer Casey Nicholaw now dominates Melbourne’s East End theatre district, with his 2014 hit Aladdin joining his 2011 hit The Book of Mormon. Nicholaw’s confidently integrated style melds dance throughout a production, infusing a show with infectious joy. 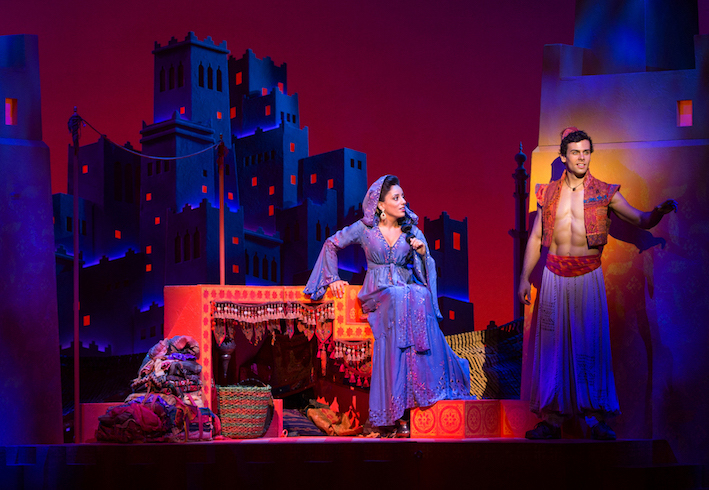 Aladdin features the current Broadway trend of continual movement, with lights, scenic elements and cast members constantly changing and evolving. 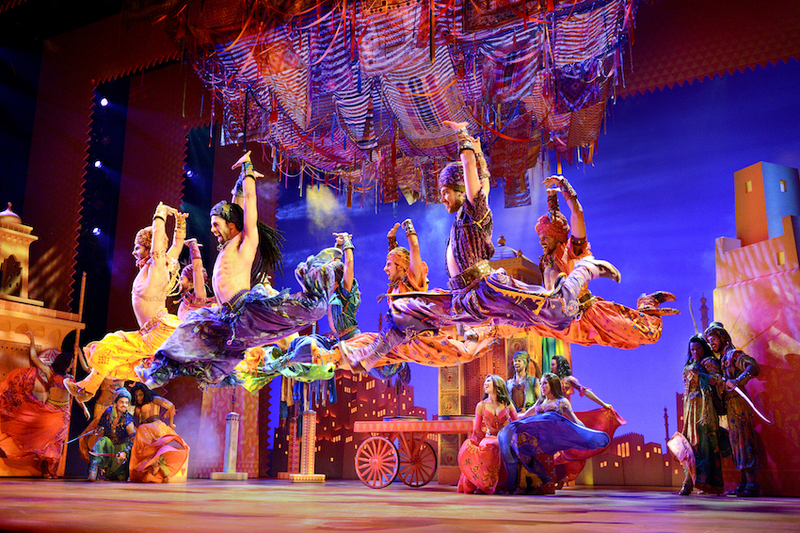 A lavish visual feast, Aladdin’s scenic design (Bob Crowley), costume design (Gregg Barnes) and lighting design (Natasha Katz) are awash in rich jewel tones and exotic pinks, purples and oranges. The extravagantly gilded Cave of Wonders is exceptionally spectacular, an appropriate setting for the musical’s biggest showstopper, “Friend Like Me.” Aladdin and Jasmine’s magic carpet ride remains a how-did-they-do-that wonder, for which the only logical explanation is that it works by actual magic. There is a noticeably masculine energy to the musical, with Aladdin’s monkey Abu replaced by three best friends Babkak, Omar and Kassim, and villainous Jafar’s squawking parrot Iago replaced with squawking sidekick Iago. The central bromance between Aladdin and the Genie is just as important, if not more so, than the traditional romance between Aladdin and Princess Jasmine. Chad Beguelin’s amusing book contains a sprinkling of sly mentions of aspects of the movie. In a clever touch, the inherent corniness of necessary acts of bravado and villainous laughs is avoided by having the characters draw attention to them in mocking, self-referential tones. Ainsley Melham is nothing short of superb as Aladdin. 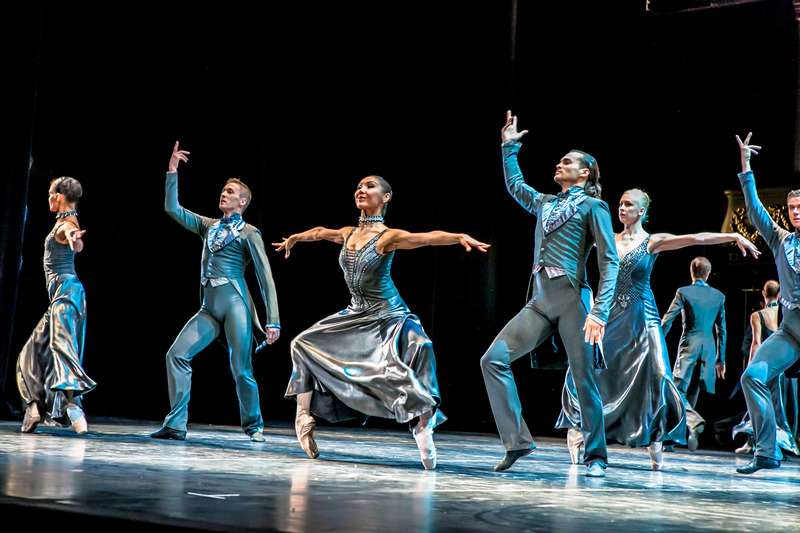 Suiting the role of the diamond in the rough perfectly, Melham dances, fights and leaps about the stage being alternately romantic, brave, vulnerable, sweet, cheeky and dashing. 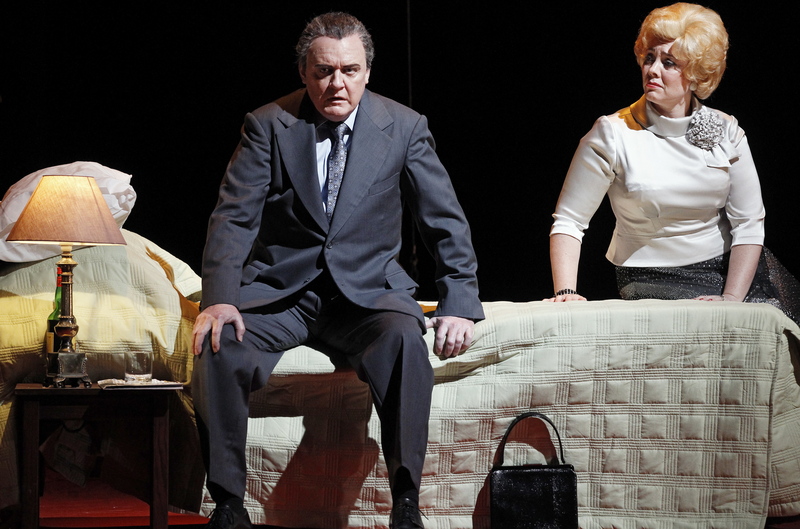 Melham soars through the vocals with ease, revealing a thrilling tenor voice. 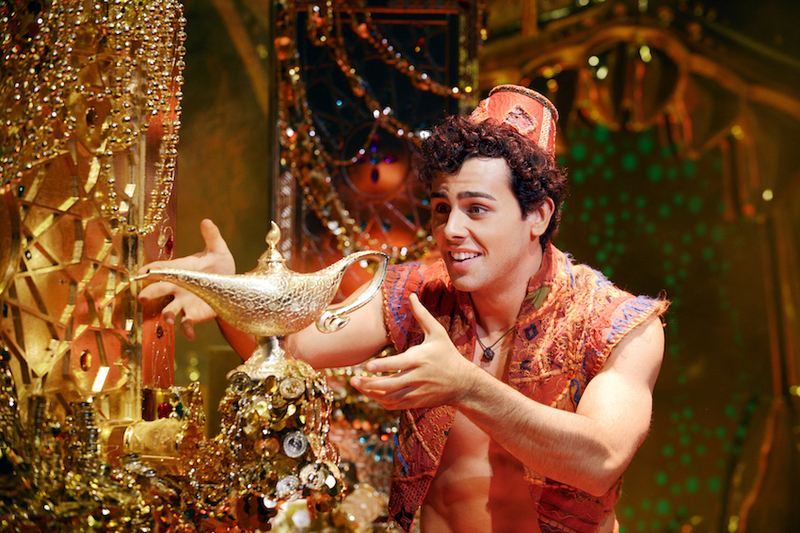 Broadway import Michael James Scott is sensationally sassy as the camptastic Genie. With energy levels on hyper-drive, Scott recalls the improvisational feel of Robin William’s vocal performance in the movie with his own warm interpretation of the role. London import Hiba Elchikne brings nothing to the role of Princess Jasmine that could not have been bettered by a local performer, making her casting a mystery. Melbourne stage stalwart Adam Murphy relishes the dastardly role of Jafar. Aljin Abella scores every laugh with his high-octane delivery as gleefully malicious sidekick Iago. As Aladdin’s high-spirited, well-meaning friends, Adam-Jon Fiorentino (Kassim), Troy Sussman (Babkak) and Robert Tripolino (Omar) elevate the importance of the roles with their terrific performances. Each also succeeds in uniquely distinguishing their character. The ensemble performers, each more gorgeous than the next, dazzle with their marvelous song and dance. 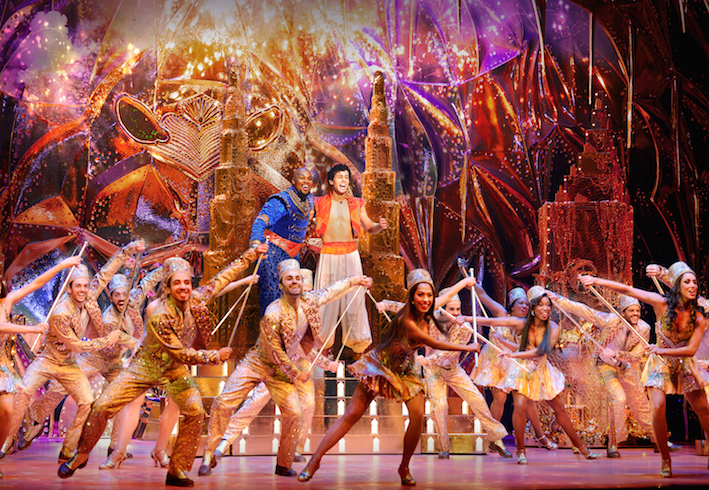 Pure entertainment, Aladdin is the ideal treat for theatergoers of all ages. Aladdin plays at Her Majesty’s Theatre, Melbourne. Man in Chair has reviewed Aladdin in Sydney. Man in Chair has reviewed Aladdin on Broadway. Hi Charlotte, Hope you enjoy Aladdin. It’s quite a spectacle. I saw Aladdin this week in Melbourne. I highly recommend you go and see it. Excellent!